Providence Institute for a Healthier Community is a catalyst driving innovation in health and well-being. Our vision is to create innovative partnerships upstream and downstream of conventional medical care that promote individual and community health and well-being. We are a catalyst for health innovation through research, education and outreach. Learn More about how we're making Snohomish County a better place to live and work. When it comes to your health and well-being, our best advice is to listen deeply. Join the effort to co-create healthier communities in which to live and work. Boost health and well-being with self-discovery, events and connections to support your journey. Innovative partnerships built around a common agenda are our heart and soul. Discover how we're partnering with local groups to improve health in Snohomish County. 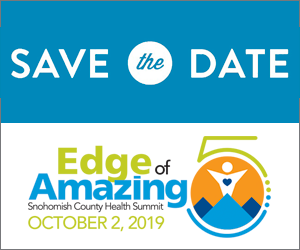 Now in its fifth year, Edge of Amazing 2019 brings people together from the private and public sector: businesses, non-profits, educational institutions, faith, tribal and government agencies. 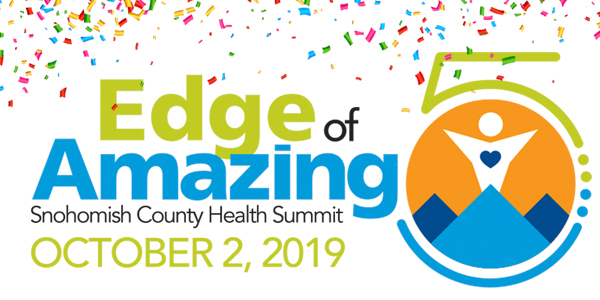 As we celebrate the strides we’ve made to improve the health and well-being of the residents of Snohomish County, we’ll focus on the work that still needs to be done to strengthen our community resources that go beyond traditional healthcare. Join us for this incredible event on October 2, 2019! Sponsor and Exhibitor opportunities are still available! Providence Institute for a Healthier Community shared a post. Attacking the mental health stigma with some celebrity powerhouse support! "It aims to inspire viewers to have an 'honest conversation about the challenges each of us faces,' and will attempt to equip people 'with the tools to not simply survive, but to thrive.' "
Britain's Prince Harry is collaborating with Oprah Winfrey on a new documentary series tackling the issue of mental health for Apple TV. Move more, eat right, stress less! Providence Institute for a Healthier Community shared a photo. Building good habits - you're never too young, or too old to start! The FDA recently cracked down on companies selling supplements with unproven medical benefits. But there are three things scientists believe are most likely to help prevent, treat or slow dementia. Sign up on our Community Partner Portal to receive exclusive access to special reports, events, newsletters and more. © Providence Institute for a Healthier Community. All rights reserved.